Till 30 Apr 2018, 4pm Hilton Hotels: Enjoy Up to 25% OFF Your Stay! Stay at a Hilton hotel or resort at Maldives, India, Australia, Singapore, Malaysia and more at up to 25% off! All you need to do is sign up for their membership at no cost! Valid for stay from now till 31 December 2018. Book your stay by 30 April 2018, 4pm to enjoy this offer. Stay with Another Day In Paradise package and get FREE night with this coupon code! Book 3 nights stay and get your 4th night free or book 4 nights and get 5th night free! 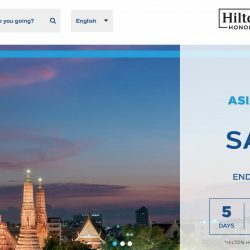 Hilton: Coupon Code for 50% OFF Hotel Booking on Sunday Weekends! Enjoy your stay for the 3-day weekend and save 50% on Sunday with this coupon code! This is applicable to a reservation of hotel in the US, Canada, Latin America and the Caribbean. When booking, you must book “The Long Weekender” Package to receive all the package benefits. Check out the website for terms & condition by clicking on this voucher. Enjoy 35% off your stay in Hilton Hotels located in Southeast Asia! 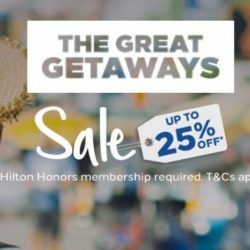 You just need to apply for Hilton Honors membership which is FREE. Applicable to all participating Hilton properties across Southeast Asia, India and Australia, excluding Japan, Korea, China, Hong Kong, New Zealand. 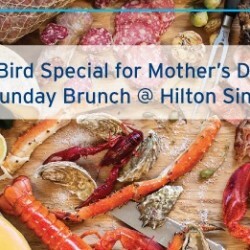 Indulge your Mom with delectable menus of Grill and Italian specialties or delight her with cakes, specially crafted with love at Hilton Singapore! Get 10% off total bill for Mother's Day Sunday Brunch when you book before 30 April with Citi Cards. What’s more, party of 4 gets a complimentary S$50 D9 Cakery voucher*. Save 30% with this coupon code on Bed and Breakfast packages at Hilton Singapore! Offer expires in 22 June 2016. Stay at a Hilton hotel for your holiday! Save $50 on all Hilton hotel bookings at Expedia by using this coupon code! Min. spend of $626. Valid till 11 April 2016. Stay at a Hilton hotel for your holiday! Save 3% on all Hilton hotel bookings at Otel.com by using this coupon code! Stay at a Hilton hotel for your holiday! 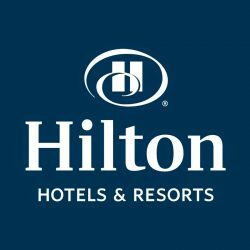 Save 8% on all Hilton hotel bookings at Otel.com by using this coupon code! Valid till 8 April 2016.